44 - $99.99 Only 1 left! 46 - $99.99 Only 2 left! Some men go their whole lives with finding their style. They wear ratty t-shirts, ripped up jeans they bought ten years ago…don’t get us wrong, sometimes those are the best clothes to wear. But you still need to find your not-a-lazy-day style. William Wallace found his when he painted half his face blue. 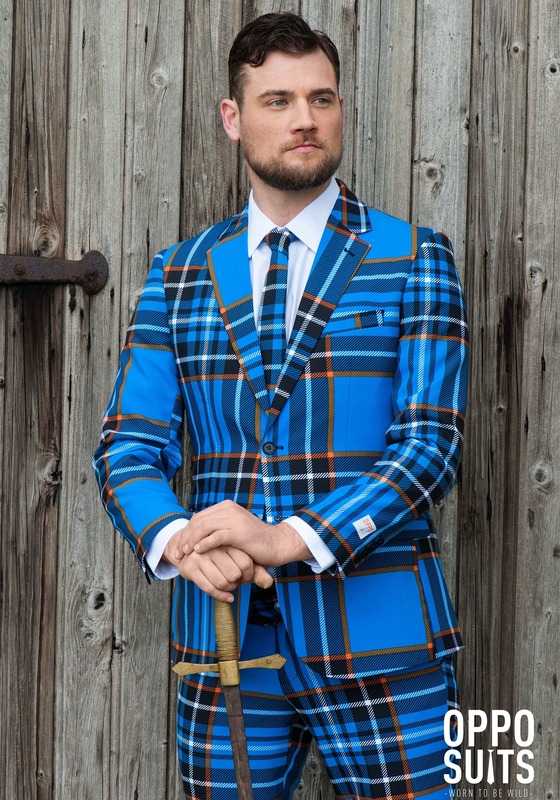 And, man, just look at how baller he looks in his kilt. Few men can pull off a kilt, but Wallace could. You might even be able to. 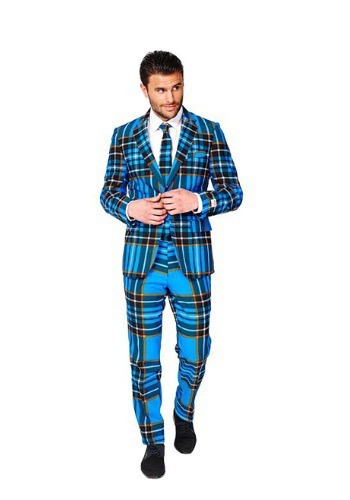 But the true genius of his look was the blue plaid. That’s what really brought all the ladies…that and his long luscious locks. Don’t just be a man who puts clothes on. Be a man who truly lives with this Men’s Opposuit Scottish Suit. 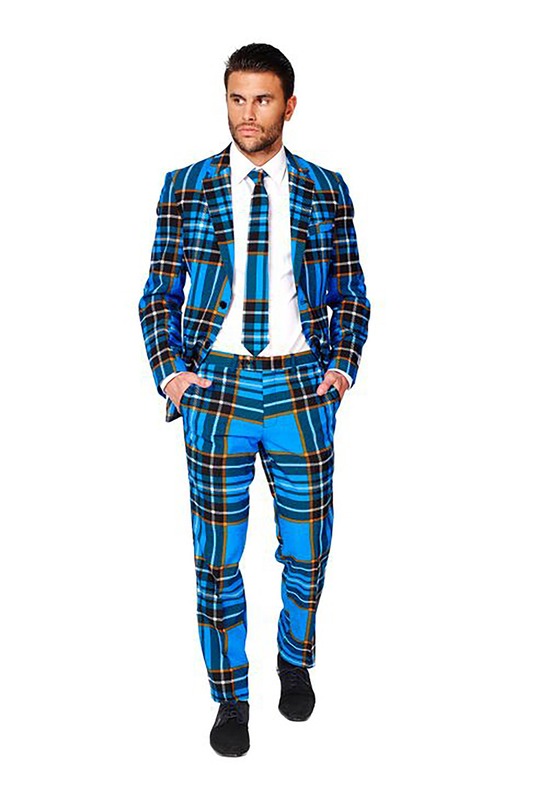 Putting on the blue, and black plaid may not make you a legendary warrior, but it will make you look fly. We searched far, and wide to give you the freedom to choose this luxurious suit. We’re not saying that you have to throw out your comfortable jeans that you have had forever, or the old t-shirts. 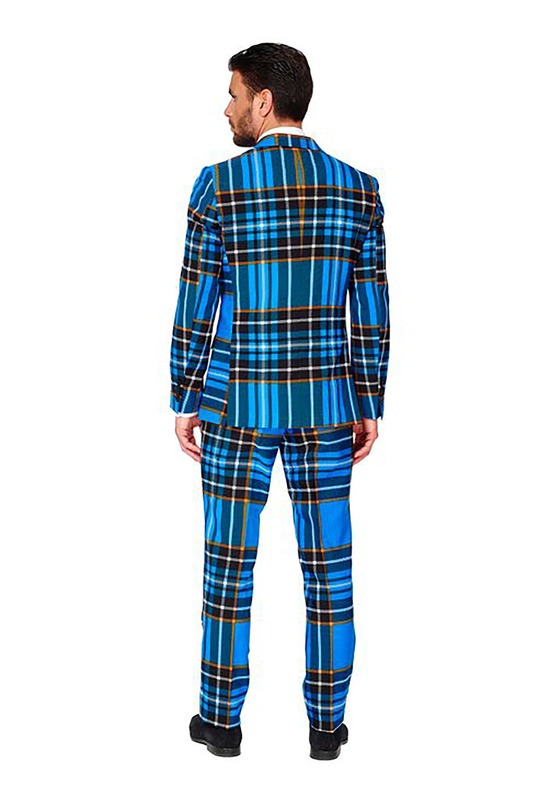 Maybe just don’t paint half of your face blue, it might have worked for William Wallace, but he never had to clean paint off of a polyester suit.